Israel Folau fall-out with ARU Australia. Kapa Haka in the Te Tai Tokerau Whangarei. Peter Lucas-Jones talks about the Kapa Haka 0ne at ASB Stadium and Whangarei Girls College. Where to for Israel Folau. Julian Wilcox slams the talented sports star and says his faith could be his careers downfall. Dr Maryanne Baker says that flu injection are now available. Don't Spread your Ashes in our Pataka Kai! Mikaira Pau doing a road trip to Rotorua to promote E Tu Whanau $10,000 prize pool poster competition. Tā Hekenukumai Pūhipi is waiting on his funds so that he could finish his project for his kura. Haami Piripi attend a Social Accord hui with Runanga o Ngati Kuri,Te Aupouri and Ngaitakoto wanting a wananga o Muriwhenua. Pākēhā Jail System don't work for Maori. Professor Makere Mutu attended a hui at Kenana Marae where a lot of people are dissatisfied with the system at Ngawha Prison. Whaea Girlie Clarke and Pā Kelly talk about Atawhai Tamariki(children in care). Misclassification of Manuka Honey Hui. Jerry Norman NZ Rotary Director says the rotary can help rangatahi here in NZ and around the world funded by Bill Gates. Tā Hekenukumai Pūhipi says his final salute to Selwyn Clarke and remembers the times they worked together building bridges. Mete Norman gives his tribute to Selwyn Clarke and love to Whanau Pani at this very sad time. Henare Kingi says NZ needs to clean up its own backyard in the wake of banning of the semi-automatic weapons. Haami Piripi says the Te Rarawa Lintel be in Paris for 4 months then decision where the Taonga goes next will be made. Tune in from 9am - 11am Monday to Friday and listen to what matters in the kāinga, in the rohe and throughout the motu. Phone in and share your views on (09) 408 4030. The flagship mid-morning show won "best kaumātua show in te reo Māori at the iwi radio awards in 2014. For hosting the same show last year, Peter-Lucas of Te Hiku Radio also won "best topical radio host in te reo Māori." 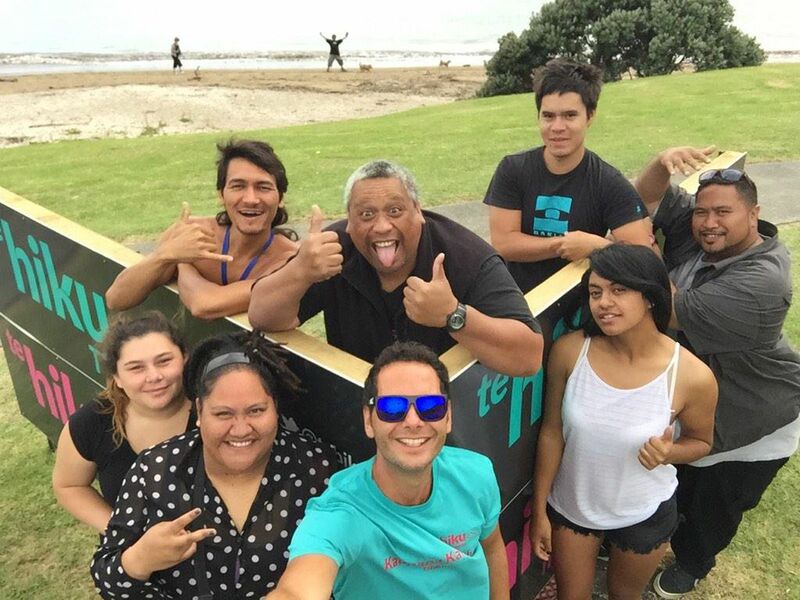 The Kuaka Mārangaranga show is topical in nature, haukāinga focused and raises awareness about regional and national issues that impact on Māori. He reo tuku iho, he reo ora.